Did you know that Minnesota formed the country’s first Smarter Lunchrooms collaborative in fall 2016? The collaborative includes University of Minnesota Extension, the Minnesota Department of Education, and the Minnesota Department of Health. The collaborative implements the research-based strategies of the Smarter Lunchrooms Movement to nudge kids to choose healthier foods, especially fruits and vegetables, in school cafeterias. Smarter Lunchroom strategies also aim to reduce food waste at schools and increase participation in school meal programs. I’m happy to report that the collaborative is still going strong. And exciting things are happening. First, the collaborative got bigger earlier this year when North Dakota joined the group. See Nikki Johnson’s blog entry elsewhere in Family Matters about that. Second, since January, SNAP-Ed educators and other University of Minnesota Extension personnel have been helping 24 Twin Cities-area schools implement Smarter Lunchroom strategies for the first time. That’s possible because of a six-month, $34,500 grant from the Target Corporation. 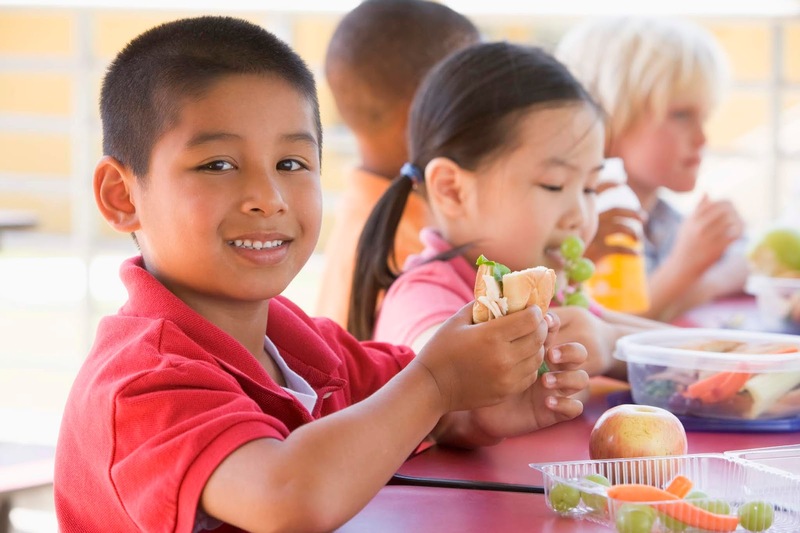 The grant is being administered by Cornell University, which oversees the Smarter Lunchrooms Movement nationwide out of its Center for Behavioral Economics in Child Nutrition Programs. U of M Extension SNAP-Ed educators have been doing Smarter Lunchrooms work since fall 2017. Food service workers and other school personnel implement Smarter Lunchroom strategies. Certified technical assistance providers (TAPs), in turn, assist school staff in this work. TAPs, or TAP advisors, include staff from the Statewide Health Improvement Partnership (SHIP) unit of the Minnesota Department of Health and University of Minnesota Extension. Currently, there are 67 TAP advisors in Minnesota, including 44 from U of M Extension—most of whom are SNAP-Ed educators. Altogether, SHIP and Extension TAP advisors are working with 372 schools throughout the state to help them carry out Smarter Lunchroom strategies. Under the Target grant, eight SNAP-Ed educators who are TAP advisors started working with the 24 Twin Cities-area schools (mentioned earlier) to help them implement at least five changes in lunchroom practices to get kids to eat healthier foods. Sliced or cut fruit (instead of whole). Fruits and vegetables in all service lines. At least two types of fruit and two types of vegetables. Pre-packaged salads or a salad bar to all students. Naming also makes a difference, Lisa says. For example, she worked with students and staff at the Heights Community School in St. Paul to label yellow peppers “neon peppers.” The idea is to spark kids’ curiosity and get them to try a food they might not have before. The Target grant, which ends June 30, includes funding for evaluation and research, such as a tray waste study that wrapped up in May. Results are being reviewed now. Also feel free to contact me at kunke003@umn.edu! Health and Nutrition Kunkel Smarter Lunchrooms.